Apple just announced iMessage, a new service designed to facilitate easy exchange of all kinds of messages between iOS 5 devices. 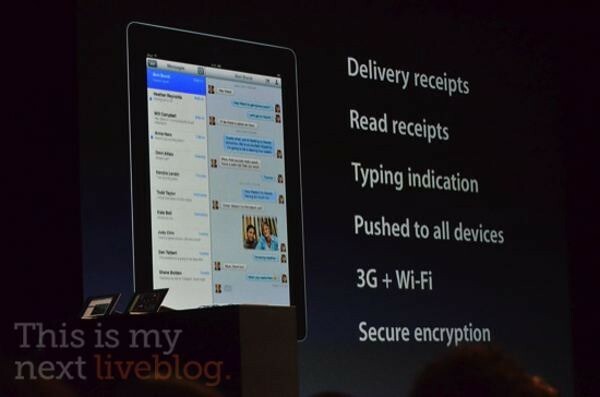 iMessages has a boat load of features, including typing indications and read and delivery receipts. 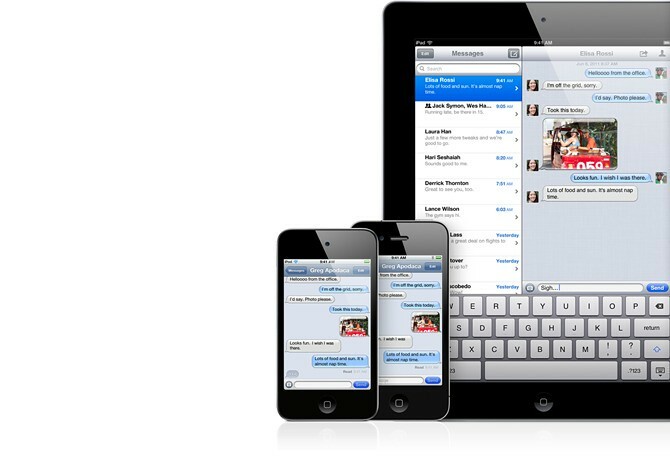 Plus, it works with text messages, photos, videos, contacts and supports even group messaging. Messages get pushed to all participants as well as all your iOS 5-compliant devices, allowing you to pick up conversation from iPhone to iPad. Incoming message alerts are delivered via the new Notifications Center so you can continue whatever you’re doing as an unobtrusive notification shows up briefly. Fine print? There’s none as iMessage works over both 3G cellular connections and WiFi networks. Well there is some Fine print! If you are using iMessage on your iPhone you might save your txts but you will use your limited data, how will apple compensate users who only have 250mb in data coverage?